3lbs. of rough gem stone tubling mix. 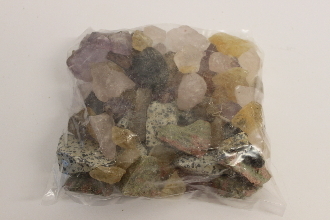 Each bag contains rose and smokey quartz, dalmation jasper, unkite, amethyst, and citrine.